I'm a sleepy little devil! Boo! This is my first Howl-o-ween ever, and mommy wants to make sure it’s really special. 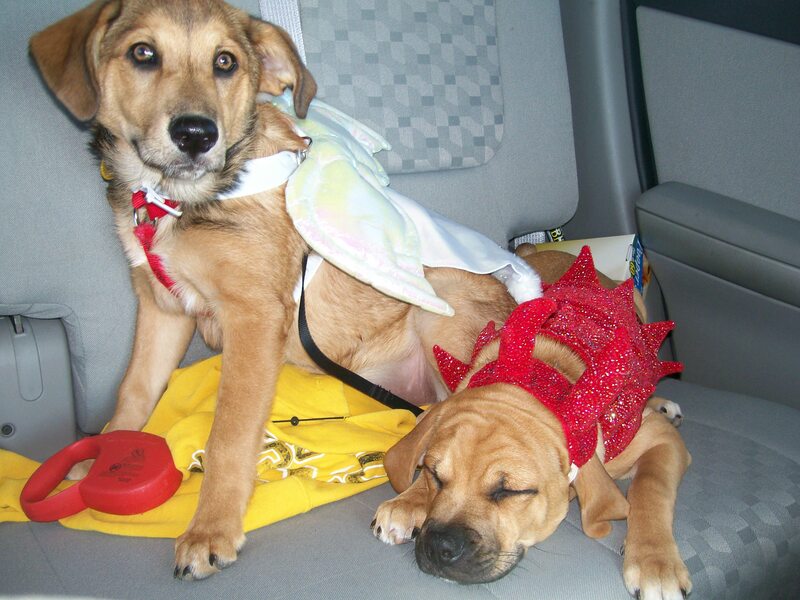 I have a really cool devil costume (sequins are manly, right), and my bff Mocha has a beautiful angel costume! 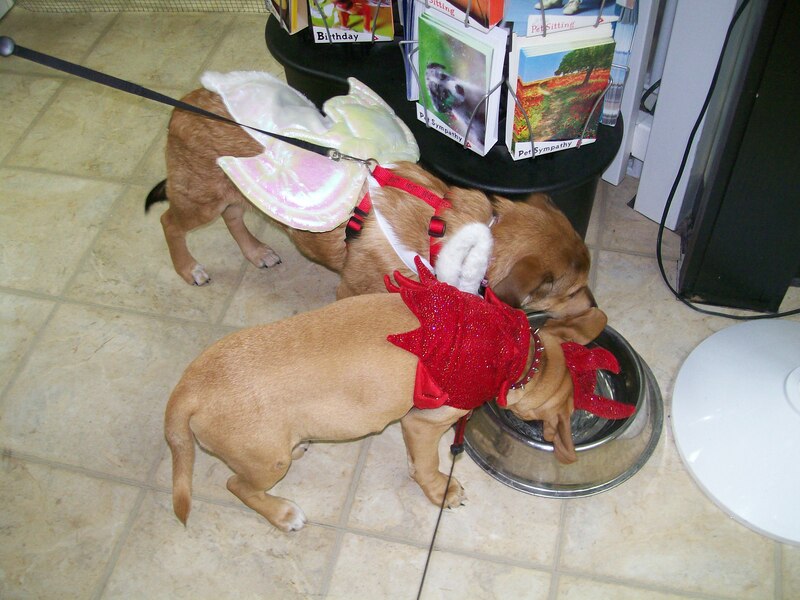 Today, we went to a Howl-o-ween party at my favorite store in the world, Treats Unleashed. 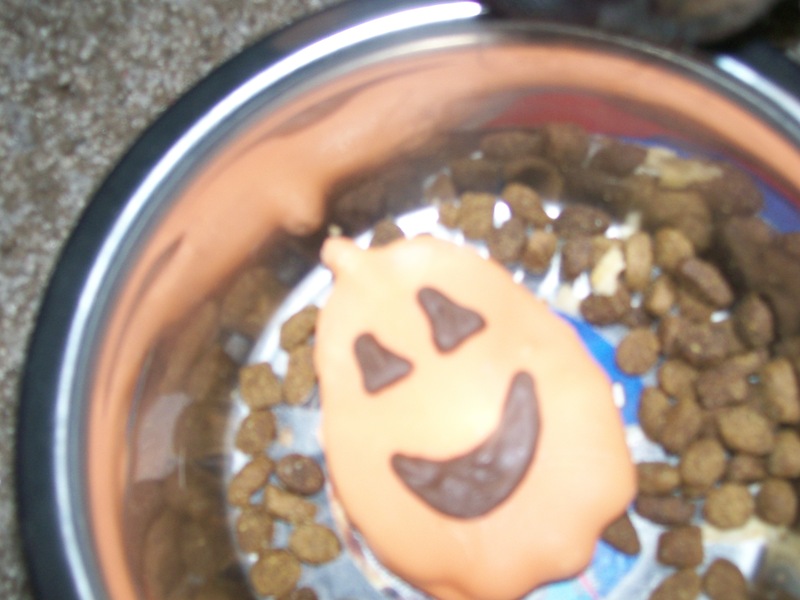 Mommy got me my favorite treat in the world, a My Fur Lady, and even a special surprise in my food bowl! I’m not so sure about this holiday being scary, so far it just seems tasty! The car ride wasn’t very much fun though. Both me and Mocha got a little bit car sick, but our mommies cleaned it up and took good care of us. We have them trained pretty good! Mommy also entered me in a costume contest, but I don’t know what i might win. I hope it’s a million my fur ladies. I’d be set for life! What a cute angel and devil! I hope they both act like angels everyday! Good luck with the costume contest!